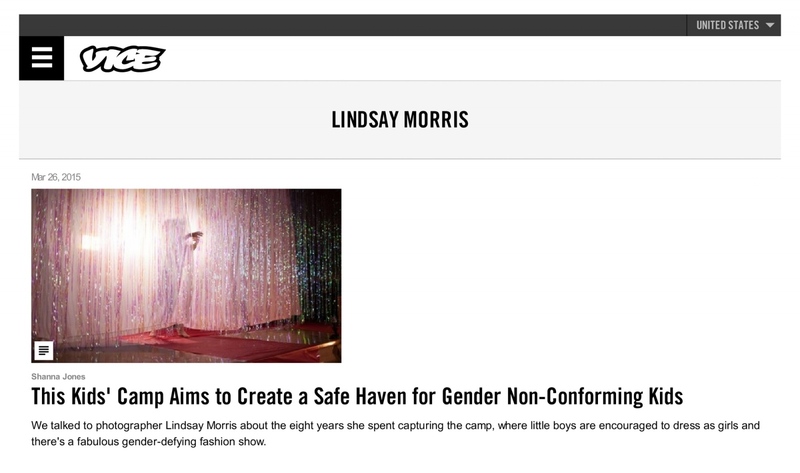 Vice Magazine features photographer and GUILD member Lindsay Morris. This Camp Aims to Create a Safe Haven for Gender-Nonconforming Kids—Lindsay Morris has dedicated the last eight years to photographing an American summer camp with a twist. A camp for gender-nonconforming children and their families, it provides a safe place for biological boys who feel more – or just as – comfortable in dresses and wigs than in Spiderman t-shirts and jeans. Morris is both a photographer and board member of the camp, To read the complete article, click here here.